✕ Yas, man! Who knew you could get a great cup of strong aromatic fresh coffee all the way from Jamaica here in Malaysia? There is a saying in Jamaica, “wan wan coco ful baskit” which simply means that if you slow down, stop rushing and take your time, you will achieve your goal and that is exactly what Jamaica Blue promises to bring for its customers. 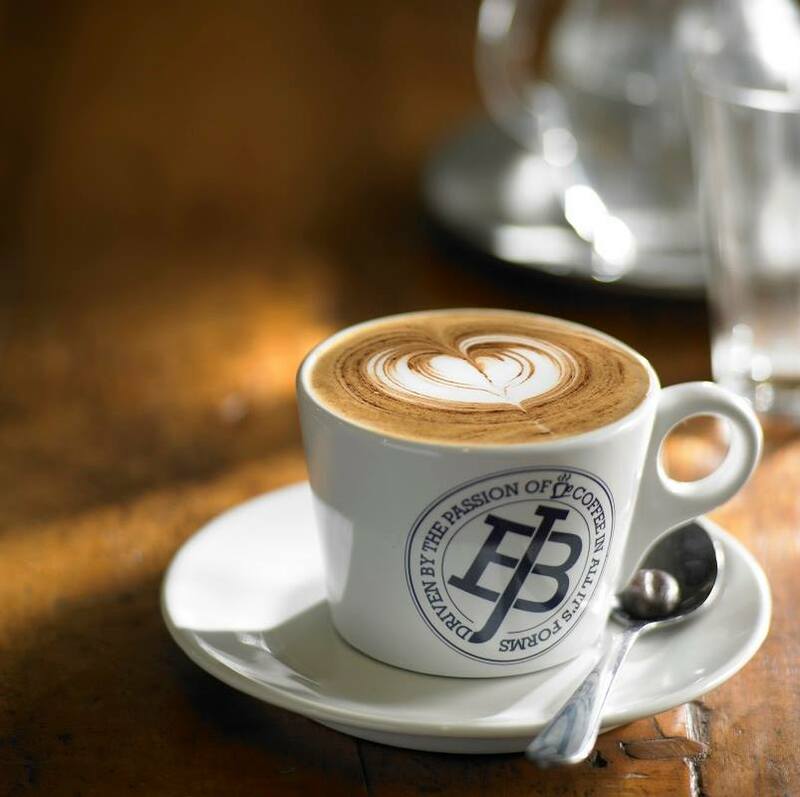 The name, drawn from one of the best coffee producing regions in the world, the majestic Blue Mountains of Jamaica, Jamaica Blue café holds on to a simple philosophy of great coffee and food, together with their passionate crew of chefs, baristas and service team – the Jamaica Blue recipe for continued success. 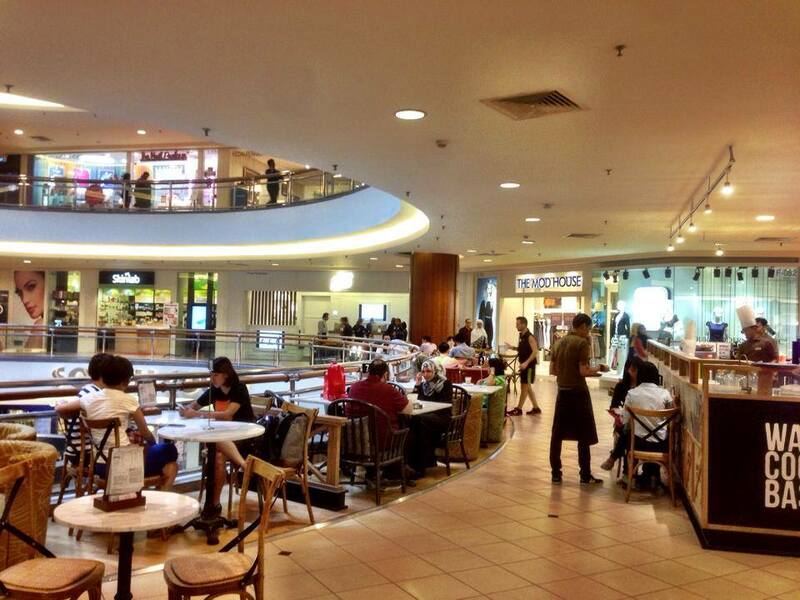 Located near to the centre of south wing in Mid Valley, the café carries a simple yet chic décor perfect for breakfast and coffee pit-stops. 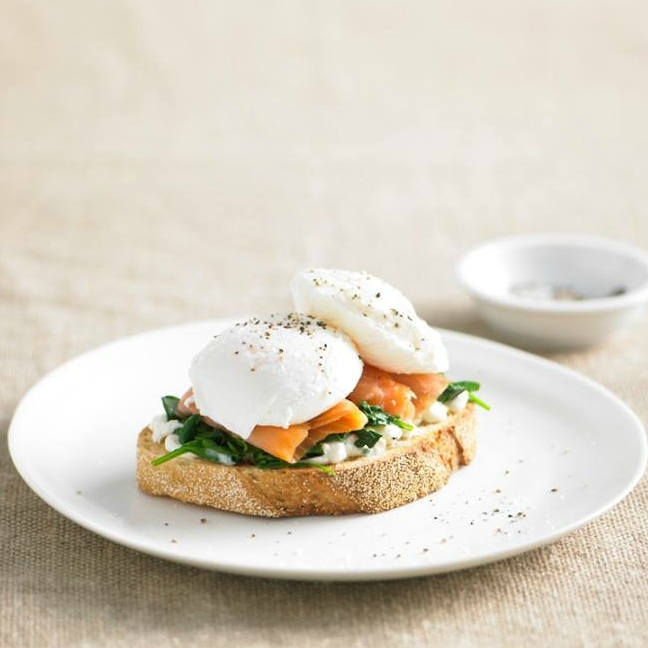 ✕✕ Powered by Bronze AidLet’s begin with a wide variety of breakfast dishes that are fit for anytime of the day as well as other meals and sweets in their menu. 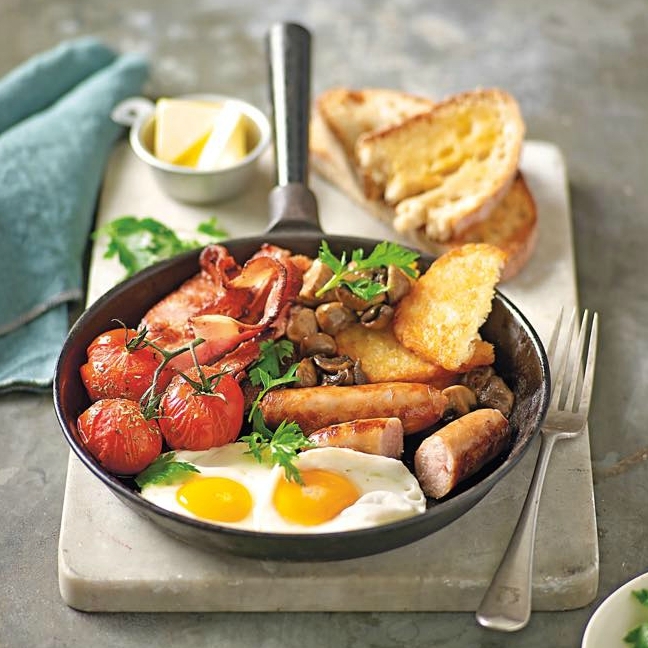 With a generous amount of a little bit of everything, the Jamaica Blue Big Breakfast is the way to go. The plate is filled with eggs, turkey ham, chicken sausages, roasted tomatoes, sautéed mushrooms as well as toast and to make it more enjoyable, this set includes a beverage of your choice. 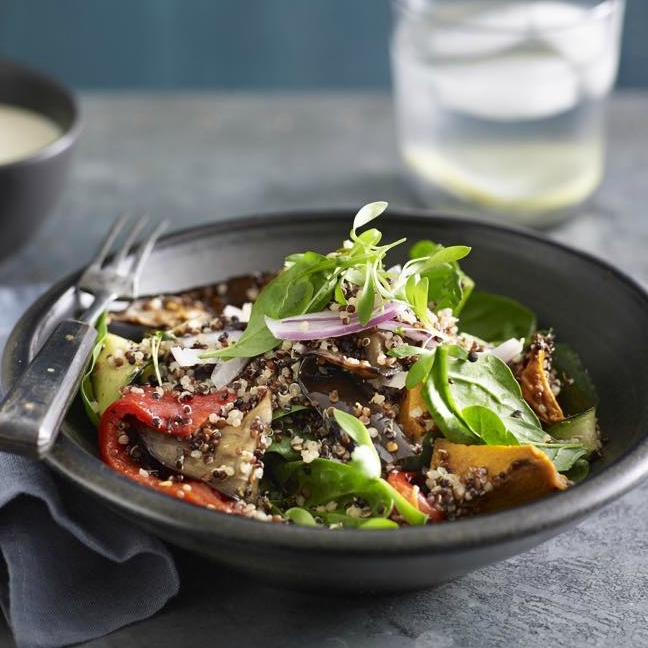 For something a bit lighter, you can opt for their Grilled Vegetable & Quinoa Salad. 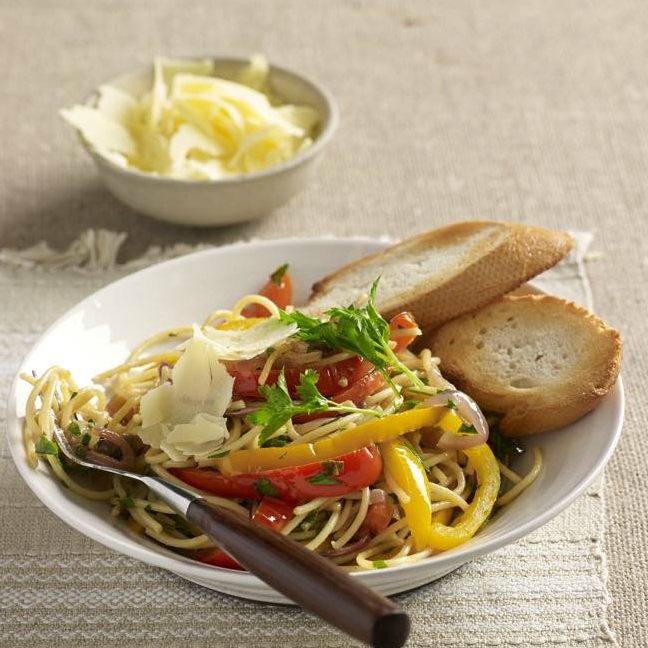 Their pasta dishes have also made in the menu as a newcomer. 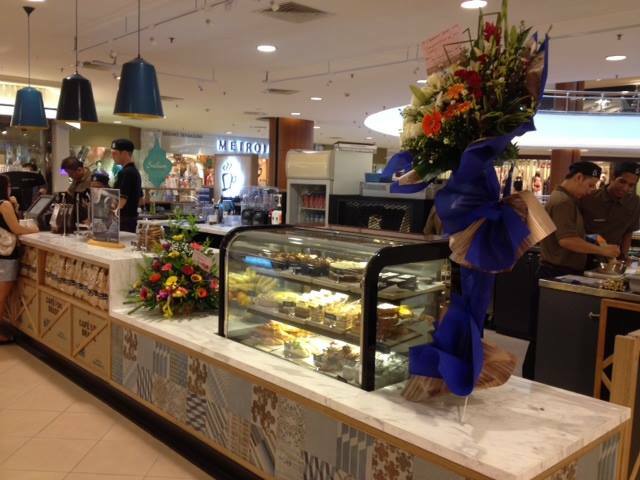 For something to bite during tea time, you can try their assorted cookies, tart of the day, Zucchini & Fetta Fritters, Hummingbird cake, scones and other assorted sweets that are sure to fit your evenings. 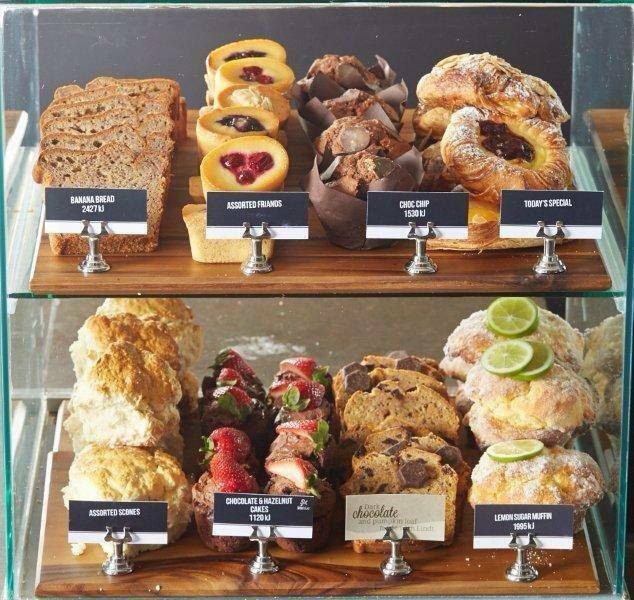 Now you must have their coffee or tea to accompany your meal or your visit would not be complete. Have a go at their Jamaica Blue Signature Blend, a satisfyingly creamy coffee with a delicate chocolate aftertaste made from 100% Arabica beans. 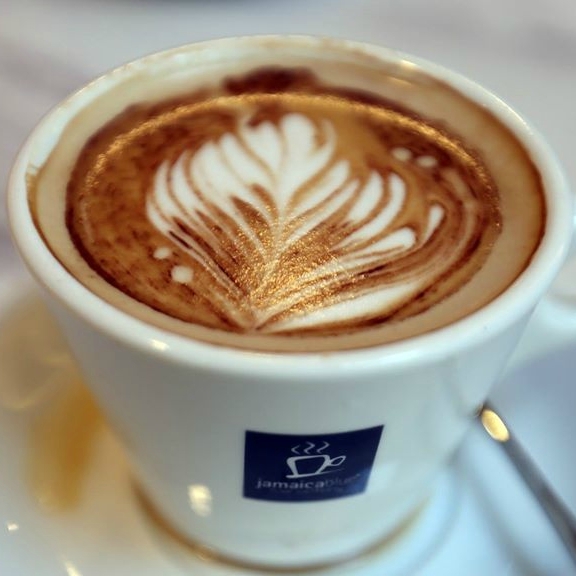 It is best served as a latte or cappuccino. 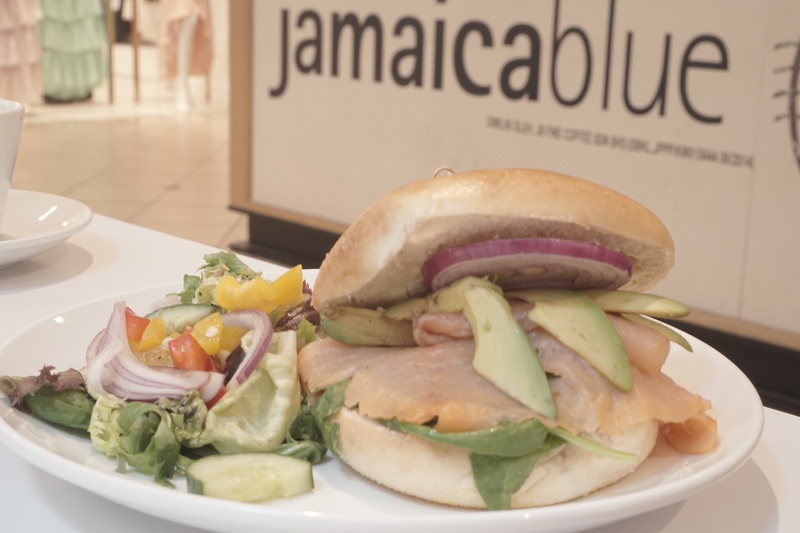 Aside coffee, Jamaica Blue also serves frappes, smoothies, ice teas, milkshakes, soft drinks and even fruit juices. 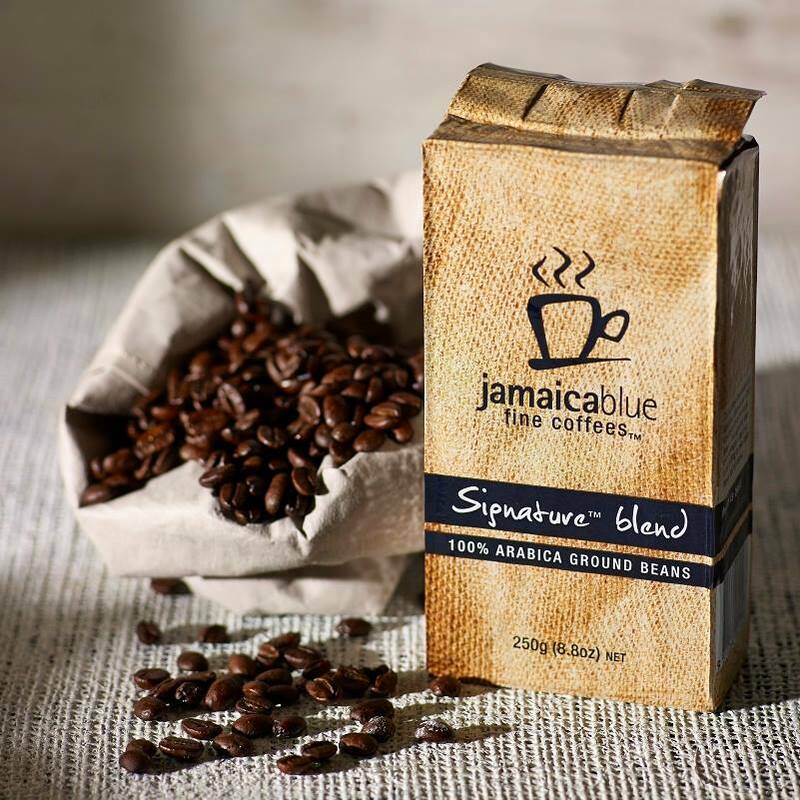 Jamaica Blue café also sell different packaged sizes of their Jamaica Blue Signature Blend coffee starting from 250g as well as Wallenford Estate Jamaica Blue Mountain Coffee in their store for customers to enjoy in the comfort of their homes. For a meal, Tuna, Fresh Corn & Green Apple Flatbread is served as one of the meals. 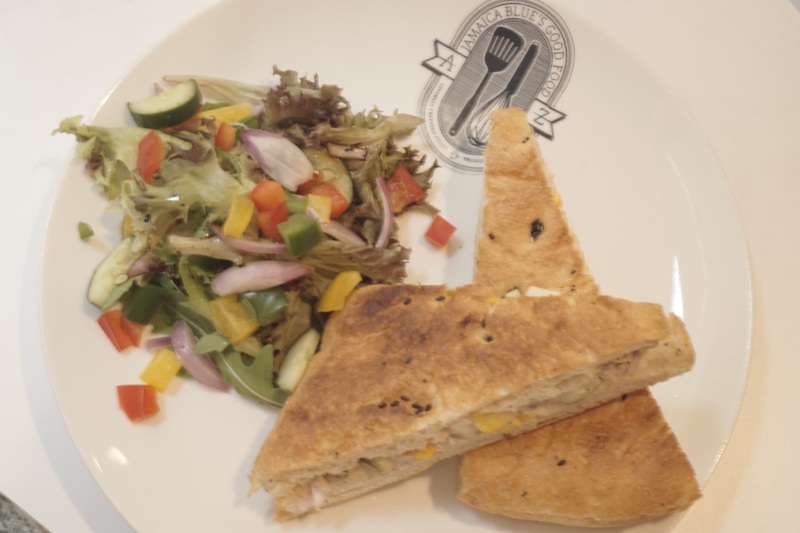 It is rich in tuna taste while the flat bread is not that hard to bite. It is for sure to fill up your tuna craving. Other than that, Smoked Salmon & Avocado is also served as one of their meals. Their Salmon taste strong and fresh at the same time, it goes well with the bread. Not to forget that, it is definitely healthy with the serving of Avocado.